This pro­file of ERG under­grad­u­ate con­cen­tra­tor and RAEL stu­dent Brooke Maushund, appeared in the Col­lege of Nat­ural Resources newslet­ter here. I’ve spent a lot of time on the 4th floor of CITRIS, but East Asian Library has been my stead­fast home — you can’t beat those giant glass walls. Wow, there are a lot, but I’ve got to say my first semes­ter in the Berke­ley Stu­dent Coop­er­a­tive sys­tem, at Steb­bins Hall, was cumu­la­tively my favorite Cal mem­ory. Now at the end of my three-​​year stint in the co-​​ops, I see the flaws in the sys­tem, but I can­not express how grate­ful I was for the sense of com­mu­nity I expe­ri­enced my first semes­ter in Steb­bins. Com­ing home to house­mates who gen­uinely cared about my day, had such dif­fer­ent inter­ests than my own but were just as pas­sion­ately dri­ven to pur­sue them, crafted such a cre­ative and open space to chal­lenge one another, and made a house a home was not some­thing I knew I could find here. What is your favorite CNR class or pro­fes­sor and why? This has got to be a tie between Pro­fes­sor Call­away & Dr. Sager’s ERG 290 “Micro­grids and Decen­tral­ized Renew­ables for Global Energy Access” and Pro­fes­sor Kammen’s ERG C271 “Energy and Devel­op­ment.” Both were grad­u­ate sem­i­nars I took spring semes­ter my junior year, and really were the first time I could see every­thing I have learned tie together. The sem­i­nar style of the classes, espe­cially with the heavy the­o­ret­i­cal focus in ERG C271 and then applied project focus in ERG 290, allowed me to explore the roots of sus­tain­able devel­op­ment, then apply them directly to a micro­grid project while con­vers­ing with my much more expe­ri­enced peers. What advice do you have for an incom­ing CNR student? Fol­low your inter­ests, don’t be afraid to make mis­takes, and—at your own discretion—don’t always fol­low the rules. If you want to take a grad class and the pre­req­ui­sites online don’t let you enroll, and you don’t have “x, y, and z classes” under your belt, but feel qual­i­fied: email the pro­fes­sor with a resume. Read some of their pub­li­ca­tions and go into their office hours. Start a con­ver­sa­tion. Cal can be a bit soul-​​crushing if you see it in black and white, but never under­es­ti­mate what can come out of start­ing a con­ver­sa­tion: you never know what you don’t know. Work­ing around the lines, find­ing the oppor­tu­ni­ties in the grays is how you pave your own unique path here. And that doesn’t come with­out a healthy amount of fail­ures; trust me, I have plenty. Regard­less of what you’ve been told, it’s not sheer tal­ent or brains that will get you through this place bet­ter on the other side: it’s resilience. I’m still weigh­ing some options, but as of right now my plan is to move out to Yosemite Val­ley to work as a gar­dener for the con­ces­sion­aire —and rock climb/​trail run a lot—for the sum­mer with my best friends from high school. In August I’ll come back to the Bay and work full time in energy access. What have been the most mean­ing­ful activ­i­ties you’ve been involved with while at Berkeley? This is a hard one, but I’ve got to say that join­ing the Cal Ski Team—the best ski team—was the best choice I made at Cal. After grow­ing up in a place where I could surf most days or go some­where new to trail run, being in such an urban area fresh­man year with­out a car or friends who enjoyed the out­doors was a bit weird at first. I also knew that Greek life wasn’t for me, but wanted to be social. Join­ing ski team gave me a social cir­cle, and I met so many peo­ple who were pas­sion­ate about the out­doors, get­ting rad, and were very intel­lec­tu­ally tal­ented at the same time. 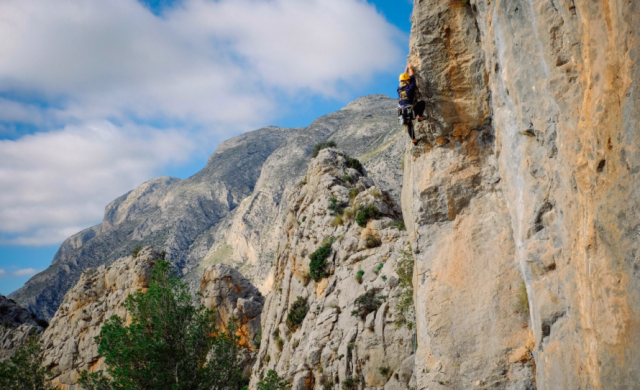 I got some awe­some pow­der days out of it and learned how to climb, but more impor­tantly I learned a lot about aca­d­e­mics and work­ing hard to advance in the work world from a lot of the older mem­bers on the team. Unfor­get­table expe­ri­ence. CAL SKI TEAM #1! We heard that you pre­sented at the COP22 Con­fer­ence in Morocco — tell us about that experience. Through a series of very serendip­i­tous events, Jessie Knap­stein, who was the co-​​president of Berke­ley Energy and Resources Col­lab­o­ra­tive (BERC) the same time I was co-​​president of the under­grad­u­ate arm of the club (BERC-​​U), offered for me to fill her spot to go to the Africa Renew­able Energy Forum (AREF) to author the offi­cial report on the state of renew­able energy in Africa going into COP22 in Mar­rakech, Morocco. After my AREF respon­si­bil­i­ties had con­cluded, I had the rest of the con­fer­ence to sim­ply absorb and process all of the hap­pen­ings at COP22—a real treat. After study­ing and dis­cussing all of these top­ics for years, even par­tic­i­pat­ing in mock cli­mate nego­ti­a­tions for a class at Berke­ley, actu­ally being at a COP was noth­ing short of the one of the best applied edu­ca­tional expe­ri­ences I’ve ever had. You can only imag­ine my thrill, excite­ment… and ner­vous­ness and feel­ing of respon­si­bil­ity when Pro­fes­sor Dan Kam­men, who I also hap­pen to work under on research in the Renew­able and Appro­pri­ate Energy Lab­o­ra­tory, offered for me to step up twice more, due to some speak­ing engage­ment con­flicts he had. I filled in and spoke as a pan­elist on my work at an event put on by the Clus­ter Indus­triel pour les Ser­vices Envi­ron­nemen­taux (CISE), and spoke as a rap­por­teur at a much larger event: the Women Lead­ers and Global Trans­for­ma­tion Summit. After facil­i­tat­ing dis­cus­sion amongst some of the most pow­er­ful, strong women I’ve had the plea­sure to be around at the Women Lead­ers and Global Trans­for­ma­tion Sum­mit, we drafted rec­om­men­da­tions in a smaller work­ing group for how the UN Sec­re­tariat could empower women while address­ing cli­mate change through inno­va­tion. Shortly after, I spoke on stage regard­ing our out­comes. As the youngest per­son in the room I was of course ner­vous, but get­ting to work with women among the ranks of those at this con­fer­ence was a truly remark­able expe­ri­ence that I will not forget. 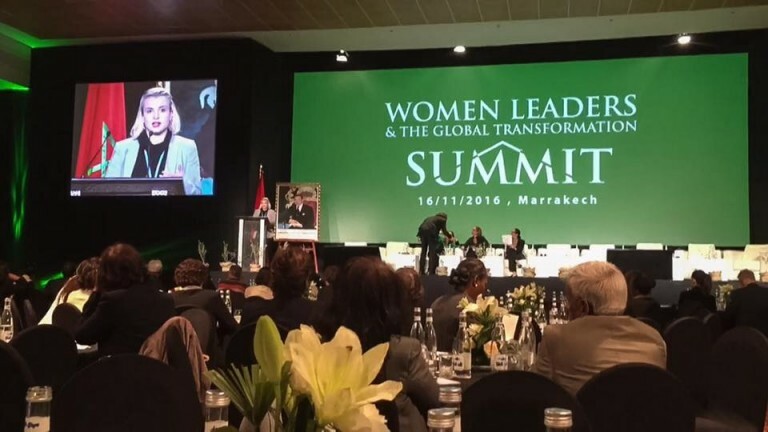 My expe­ri­ences at AREF, COP22, and espe­cially the Women Lead­ers and Global Trans­for­ma­tion Sum­mit are some­thing I know I’ll carry with me through­out the rest of my career. I can­not thank BERC, Jessie, Dan, or Energ­y­Net enough.